President Donald Trump has presented a posthumous pardon for the Great Jack Johnson, the first black Heavyweight Champion of the World, yet also and lamentably, a victim of the cruel and searing racism of that era. “It’s a great day for Boxing and humanity, and a big step taken by President Trump,” Mauricio Sulaimán commented. 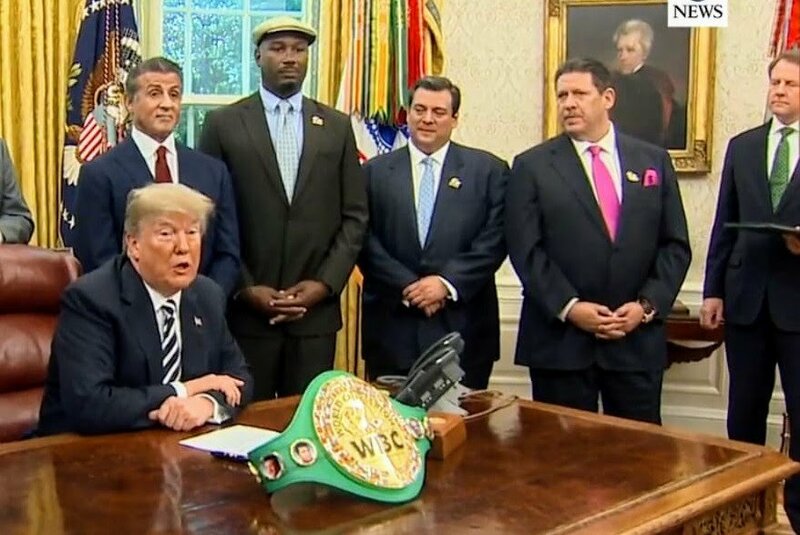 The World Boxing Council was present today at the ceremony, in which the President of United Staes Donald Trump, granted the posthumous pardon to Jack Johnson. Jack was first African-American champion of heavyweight boxing and a legendary figure of the sport, who was unjustly condemned 100 years ago due to flagrant racial prejudice.